Real money casinos on the web are dependent on online gaming software developers for the provision of games that they include in their portfolios, and 1×2 Gaming is one of them. This gaming software providing company has been around since 2003 and is based in the United Kingdom. Even though the firm has been around for more than a decade and is based in one of the biggest online gambling markets, it is still considered a small-timer. Even so, it has earned a seat among some of the top software providers and has gained adequate recognition globally. When 1×2 Gaming was launched, it stood to serve the needs of virtual sports bettors who were in it to collect instant winnings on events that carry fixed odds. With the industry adapting to new technological advancements, 1×2 Gaming adopted the use of Flash Player and HTML 5 technology in the development of its sets. With these software platforms in place, it became easier for the developer to transition into the provision of slots and other casino games, some of which are assessed in this software review. Slot machines are the most played games in both online and offline casinos, and they have maintained this status since their invention back in the eighteenth century. 1×2 Gaming has a small collection of thirty-two of these games. This number is low considering how long the company has been in operation. Even so, players are treated to well-developed games that feature a classic touch rather than the fancy direction taken by most others. Horror, mythical tales, gems, and superhero slots software themes are explored. This entity’s free slots online are described as low variance and carry various bonuses within them such as free spins, multipliers, and credits. An autoplay mode can be found on all of them with options to spin the reels from five to two hundred and fifty times without any interruption. 1×2 Gaming provides the Return To Player rates in the rules of play. These percentages give players an idea of the payout to expect when they play for some time. For this developer’s slots, these rates fall between ninety-four and ninety-eight percent, with most of the games appear on the lower range of these percentages. This slot game is based on the popular folktale of Alice in Wonderland. The set carries the same classic ambiance that is witnessed on the 1950 film it is based on, and gameplay unfolds on five reels, three rows, and twenty-five adjustable win lines. Alice is the most valuable icon on the reels and offers players a multiplier win of seven hundred and fifty times when five of them are landed on an active bet line. Halloween is one of the biggest holidays in some parts of the globe, and it has been used as a theme for many slots including Halloween Horrors. The game carries the usual five by three playing grid arrangement and has twenty-five selectable paylines running across. Like in most other games by this developer, players receive their winnings in the form of multipliers that fall between one hundred and seven hundred and fifty times the placed bet. This 1×2 Gaming slot is among the most impressive releases by the developer in terms of animations. Gamblers get to play alongside the gods of Olympus on a grass field dotted by broken and strewn pillars. The game screen is placed in the middle with twenty bet lines placed on five reels and three rows. Several bonus features are included in gameplay such as free spins. The freebies are triggered by Zeus, the god of the skies, who plays the role of the scatter. Mythical, superhero heroes, gem, money, and history-themed slots are also availed, and some of them carry progressive jackpot features. 1×2 Gaming has ventured into the production of other casino sets aside from slot machine games. One of the categories it has made releases in is table games. These games, along with the slots, can be played for real money. Demo modes are also included for review and free play by gamers before they can stake actual cash. This software provider has been listed as one of the game developers in leading casinos. 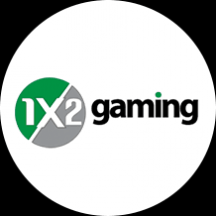 1×2 Gaming does not power its mobile casino, but its steady reputation that has it placed among top software developers such as NetEnt and Microgaming, both famed superhero providers. These establishments offer various incentives such as no deposit and welcome bonuses that gamblers can claim once they register as members. Top software reviews by online gamblers indicate that 1×2 Gaming is a popular choice with many players around the globe. The developer provides its game in mobile devices in an instant play mode.